Sanna Hans Longden is a presenter at education conferences, continuing education courses, workshops, and inservices. She has been a clinician at many music education conferences and chapters such as American Orff-Schulwerk Organization (AOSA), American Organization of Kodály Educators (OKE), Music Educators National Conference (MENC), as well as physical education conferences and events. She also spends much time in elementary schools around the United States as a resident artist. A longtime international dance leader and ethnic dance performer from Evanston, Illinois, Sanna's specialty is to focus on the "folk." She also was editor of the NFO News of the National Folk Organization, and is a Silver Burdett Ginn author and clinician. Sanna gives private swing dance lessons, teach dancing to engaged couples before their weddings, and offer lessons to piano instructors in dances of the classical piano music repertoire. The have one of the largest recreational groups in the country and also lead "coffee talks" on strategies to retain and nurture folk dance communities. 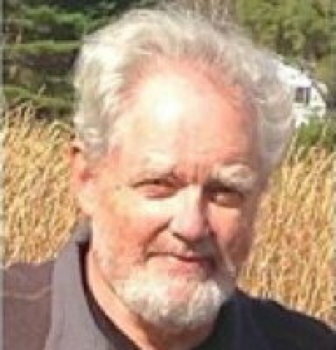 Sanna's husband and partner, Mars, died suddenly and unexpectedly on October 4th, 2014 in the Evanston Hospital at the age of 71. 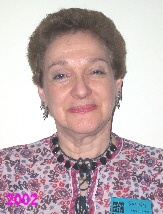 Cultures and Styling in Folk Dance, with Phyllis S. Weikart. High/Scope Press, 1998. 400pp. "Favorite Folk Dances of Kids and Teachers," Audiotape No. 1 (Red). "Favorite Folk Dances of Kids and Teachers," Videotape No. 1 (Red). "More Favorite Folk Dances of Kids & Teachers," Audiotape No. 2 (Purple). "More Favorite Folk Dances of Kids & Teachers," Videotape No. 2 (Purple). "Living Ethnic Dances for Kids and Teachers," Audiotape No. 3 (Aqua). "Living Ethnic Dances for Kids and Teachers," Videotape No. 3 (Aqua). "Maypole & Mexican Dances for Kids & Teachers," Audiotape No. 4 (Green). "Maypole & Mexican Dances for Kids & Teachers," Videotape No. 4 (Green). 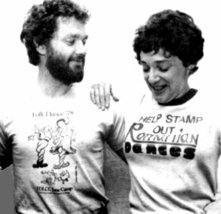 "Historic & Contemporary Dances for Kids & Teachers," Videotape No. 5 (Cinnamon). "Folk Dance Music for Kids and Teachers," CD No. 1. "More Folk Dance Music for Kids & Teachers," CD No. 2. "Matzorena, The," Audiotape (with instruction). Play-party and international folk dances Sanna has taught include Agadu, Aloha Kakahiaka, Barnereinlender, Batztango Esku-Dantza, Bear Went Over the Mountain, Bluebird, Bongo, Bulgar, Diamonds in the Sky, Duj Duj, Circling (Barbar's Pole), Constant Billy, Cotton-Eyed Joe, Double Plaiting, El Vals de los Paños, Eppo i tai tai e, Gathering Peascods, Good Old Days, Grand March, Grand Right & Left, Here Comes Santa in a Red Canoe, Highlife (Pandogo), Hora, How Do You Doo-Tee, Huayno (Wayno), Huitzilopochtli, Jenny Pluck Pears, Jingle Bells, La Belle Catherine, La Raspa, Los Machetes, Maypole Dance, Minuet, Muffin Man, Niška Banja, Oy Matzorena, Paddle Dance, Pam & Pat Reel, Peopleton Stick Dance, Pop Goes the Weasel, Raj, Scratch, Seljančica, Sellinger's Round, Servihasapikos, Sevivon, Siege of Carrick, Simple Plaiting, Sir Roger de Coverly, Spider Web, Te Ve'Orez, Tinikling, Tokyo Dontaku, Tonanzin, Troika, Tzlil Zugim, Twelfth Street Rag, Ya'abud, Yan Petit, Yesh Lanu Taish, and Virginia Reel.